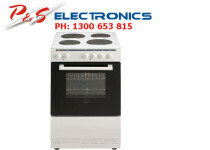 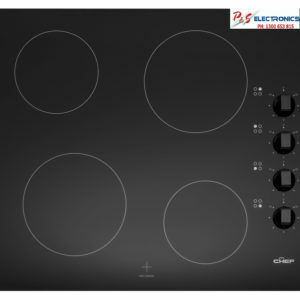 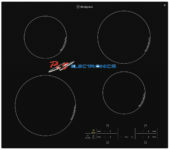 This electric cooktop from Chef features ceramic glass making it extremely easy to wipe clean. 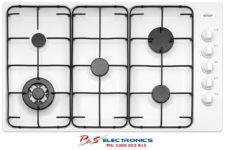 Save time by never having to remove trivets and burner caps before cleaning. 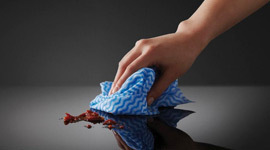 Simply wipe up spills with a damp cloth. 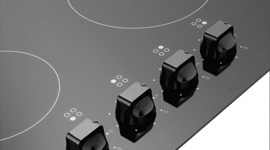 The rotary control knobs are simple to navigate and are super easy to use. 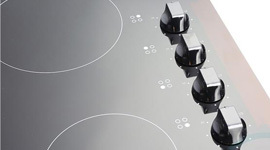 They are also located conveniently to the side meaning you don’t have to reach over hot elements when changing temperatures or switching off the cooktop. 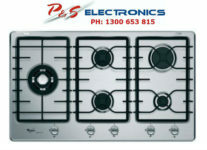 Even when the elements are switched off and they are no longer glowing red they can still be quite hot for a while after cooking. 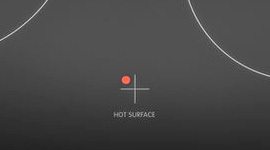 The residual heat indicator located at the front of the cooktop will illuminate letting you know which elements are still heated or in use.